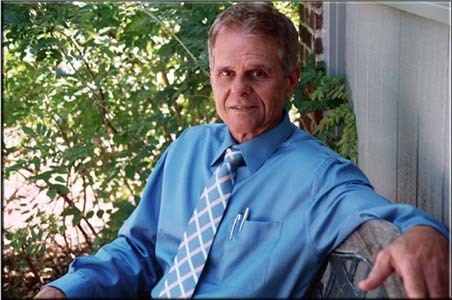 Listen to "Almost Home", a song dedicated to Anderson by Jill Sissel. A story of a life taken too soon. The book contains messages revealed to me after Anderson laid his body down. In addition there are chapters on how to navigate the loss of a child, his writing at an early age, and pictures to help one see him in various settings. How can a parent deal with the loss of their child? This is a gutwrenching account of the day that Anderson left his body and the pain that his parents endured as they tried to make sense of how this could happen. Yet Anderson did not leave them to handle this seeming tragedy alone but through almost daily communication with his father, Anderson let them know why he needed to go and nurtured them through the grieving process. Gene and Lucy have given us an account of the life of Anderson and you cannot help but fall in love with this special soul. 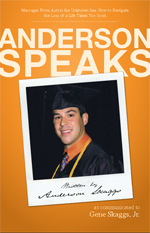 Intimate details about Anderson’s life as a child, an adolescent and a young adult are shared and we begin to understand that Anderson lived the life that we all want to emulate - a life filled with honor, compassion, and excitement. An intimate, emotional revelation of conversations between dad and son, Anderson gives advice on how to be happy and live a good life. He shares with us how to know our own Divinity and the importance of living with love in our hearts and sharing that love with everyone we meet. Although many marriages break up after the loss of a child, after Anderson parted this life, he was able to provide the guidance to his parents so that they could make sense of his decision to leave his body and in so doing, Gene and Lucy’s marriage grew stronger.In Gene’s desire to grant Anderson’s wish to keep him alive by living a life of honor, Gene shares information that will be extremely valuable to other grieving parents and to those who are affected by such loss. Gene gives suggestions on how to approach those who are grieving and helps us to be sensitive to their needs. Anderson taught his parents that he is still with them and a beautiful story emerges as Gene and Lucy begin to see his words are absolutely true. For this reason, the reader may note that although some verb tenses are written in the past, at other times verb tenses are written in the present tense to indicate Anderson’s presence. There is no other book, to my knowledge, that details such an emotional story yet is filled with practical help for everyone. Thank you, Gene and Lucy, for sharing this very personal story with the world! "Carry On", written and composed by Rose Duffy and Gene Skaggs, is now available for purchase on iTunes. 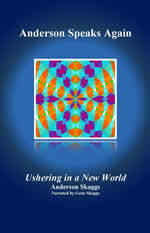 as communicated to Gene Skaggs, Jr.
Click HERE to purchase ebook online. To purchase a copy in print, click HERE. Gene feels everything he has done in his life has led up to this moment in time, where he has come together with Lucy, to deliver the messages that Anderson is revealing to him from the other side. It is his sincere wish that you take these messages that have come from Anderson, and allow them to inspire you to live your life with Honor, Compassion, and Excitement. Click HERE to purchase "101 Questions and Answers On The Course" ebook online. Click HERE to purchase "Biblical Quotes from A Course In Miracles Reinterpreted" ebook online. "A Beginner's Glossary to A Course In Miracles"
"The Relastionship Game: Changing the Rules"
in the "Barn" at First Church Unity, Nashville, TN.